Sometimes you need to change things up a bit and put a twist to things! Especially when it comes to a salad. Depending on person to person a salad could be a tasteless cold dish or to some others its nutritious and tasty. 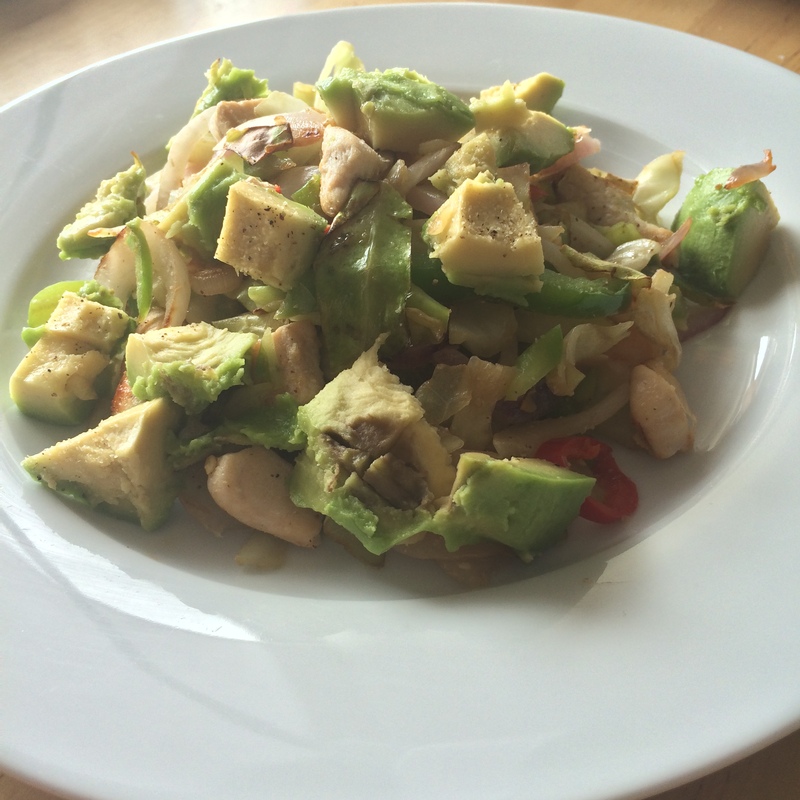 I made a Thai Chicken Salad with Avocado that has all the greens it needs but also tastes delicious with a special spin. First. Cut the chicken into thin slices and cut all the vegetables according to the size you prefer. The smaller the faster it is the cook and eat. Five. 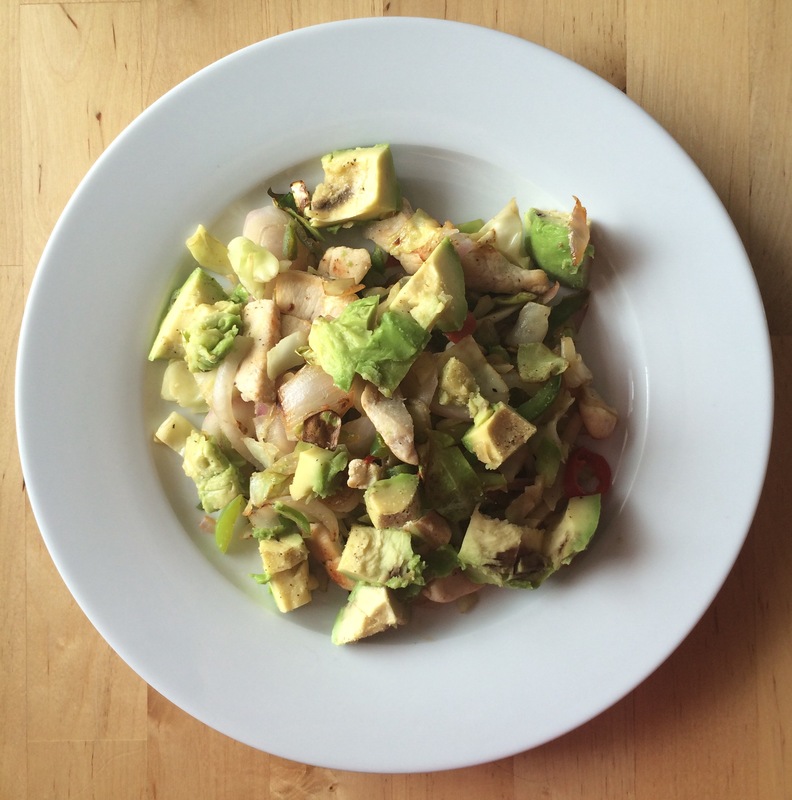 Plate your cooked vegetables and chicken and add diced avocado on top with a little salt and pepper.